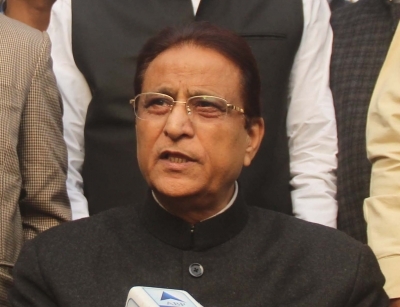 Lucknow, Oct 17 (IANS) Taking a dig at BJP legislator Sangeet Som who called the Taj Mahal a blot on Indian history because it was built by foreign rulers, Samajawadi Party MLA Azam Khan on Tuesday said all “symbols of slavery” like Parliament House and Rashtrapati Bhavan in Delhi should be demolished. “I won’t respond to him (Som). But I have always been saying that all symbols of slavery in India should be demolished. It is true that Mughals conquered India. But I won’t get into how they came and who brought them to India because it will create a bitter debate. Some people will mind my opinion about that because they don’t like the truth,” Khan said, speaking to a TV channel. Without naming Prime Minister Narendra Modi and Uttar Pradesh Chief Minister Yogi Adityanath, Khan, known for his sharp comments aimed at his political rivals, said he had already made an appeal to the “Baadshah” and to the “younger Baadshah” that they should move forward in razing down these monuments “built by traitors and we will follow them”. “Let theirs be the first blow (to demolish these monuments) and mine will be the second,” he said.